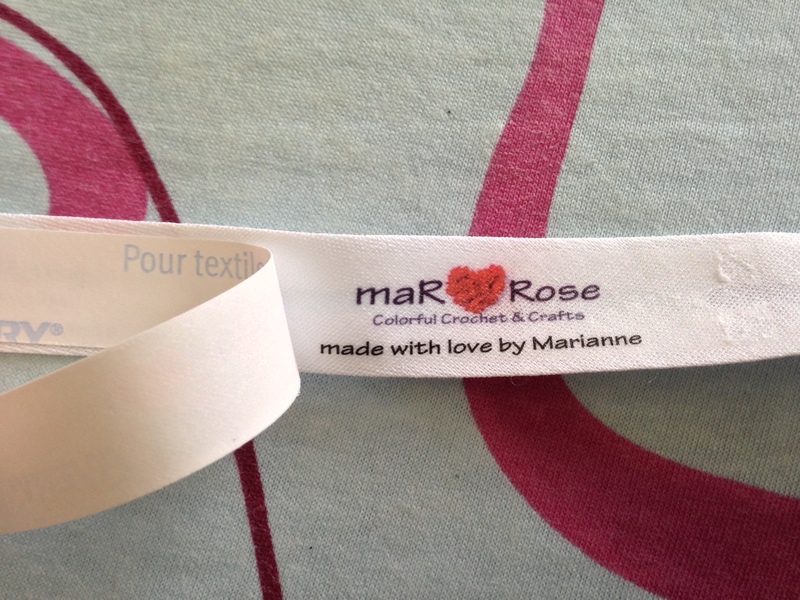 Adding your own label to the things you create gives a nice personal and even somewhat professional touch. 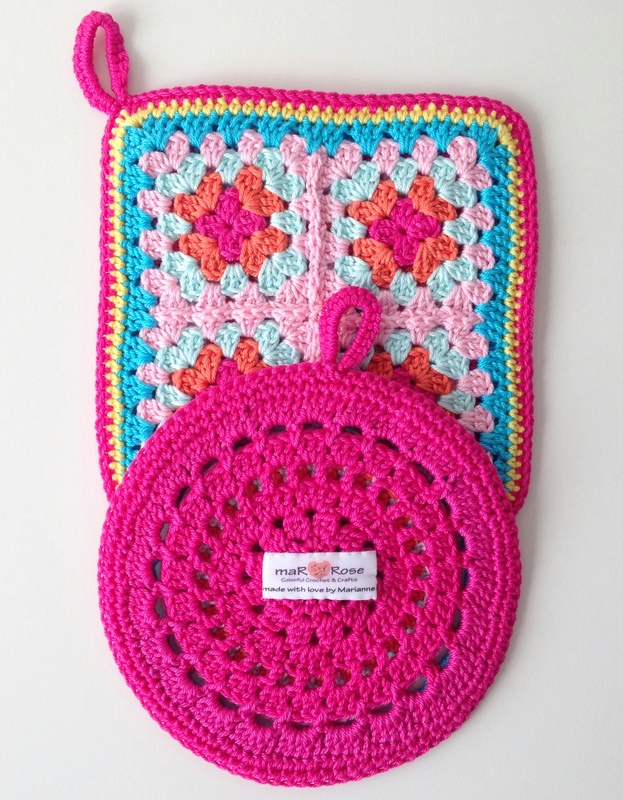 When I first started crocheting again – in 2010 – I ordered mine online. 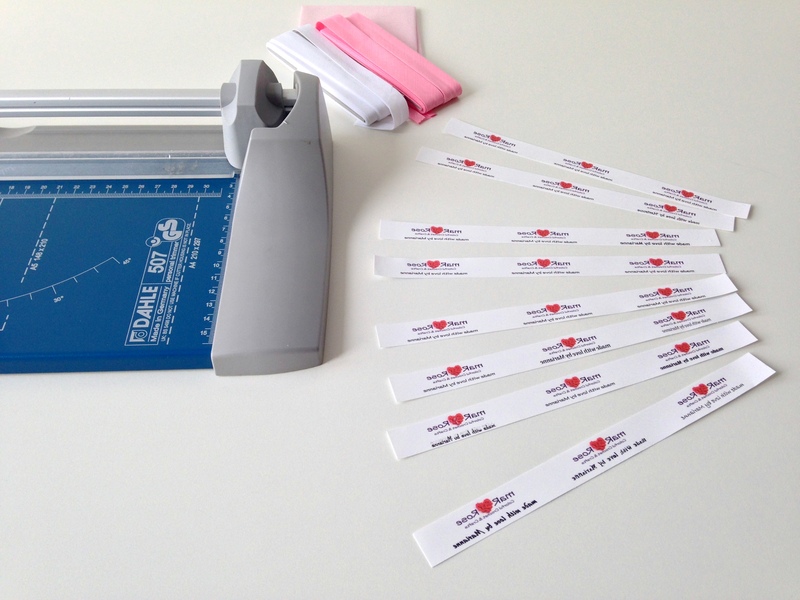 You’ll find a wealth of companies offering personalized labels just by browsing the internet, but they’re often quite expensive and sometimes lack quality. 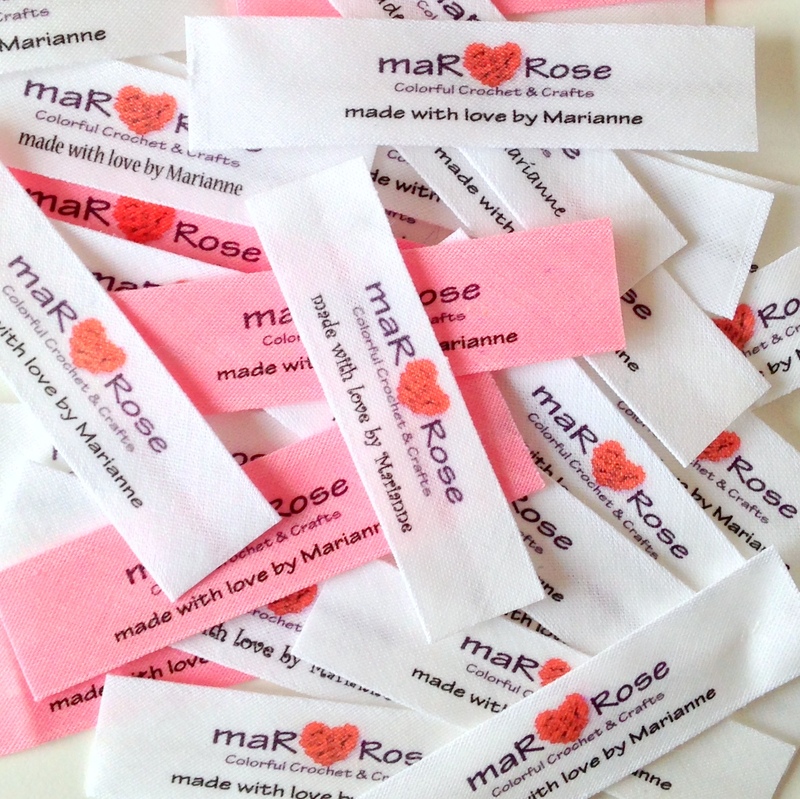 Therefore, you can imagine I was very happy when I stumbled upon several good tutorials on how to make your own labels (I really liked this one on Marieke’s wonderful blog – so worth a visit – many more great tutorials). Since then I’ve always made my own. 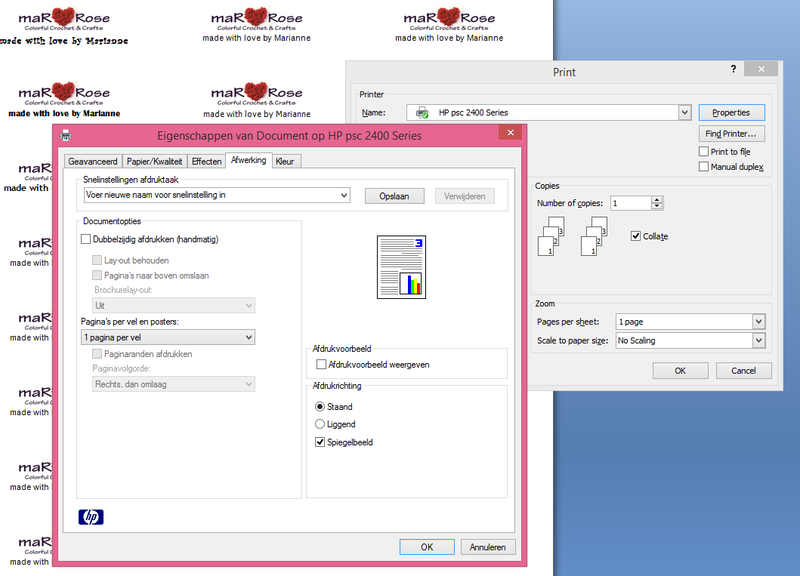 Quite a few (ig-)people have asked for the how-to, so how about I show you the way I create my “maRRose”-labels? First you have to design your label. You can get as wild and creative as you want – however I simply used MSWord and it worked fine. 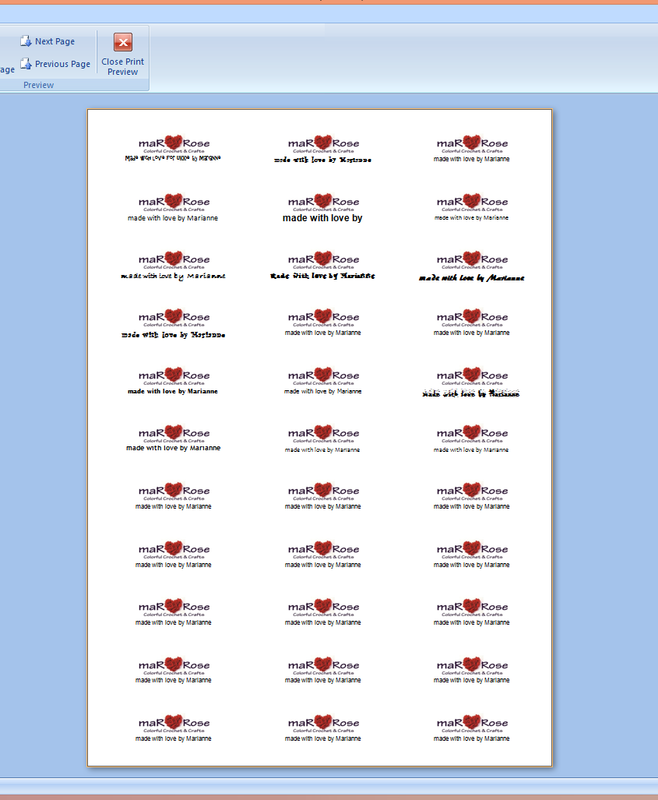 I created a document, opted for the “three columns” page lay-out, played with some fonts and sizes, inserted my rose-heart picture and once I was content with how my “maRRose”-label looked, I copied and pasted this one image until my page was full of labels-to-be. As you can see, I tried a couple of different fonts, just for fun. 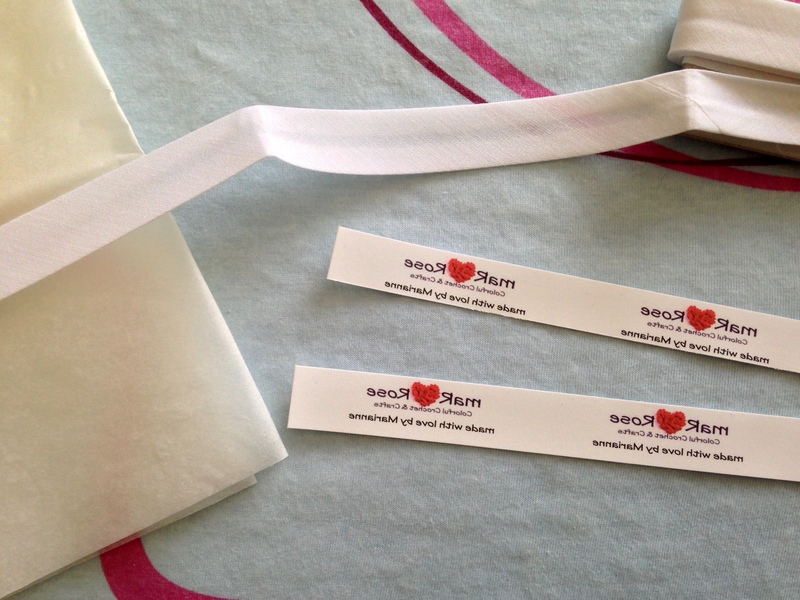 At this point I suggest you print your (saved) label-document to some plain paper first, to make sure you like what you’ve done and to check whether your label is not too wide for the ribbon you’ve chosen. The next step is to insert a sheet of transfer paper into your printer; make sure to set your printing options correctly. In my case I adjusted the properties of my printer from “normal” to “best” and – this is really important – I ticked the box “mirror image”. 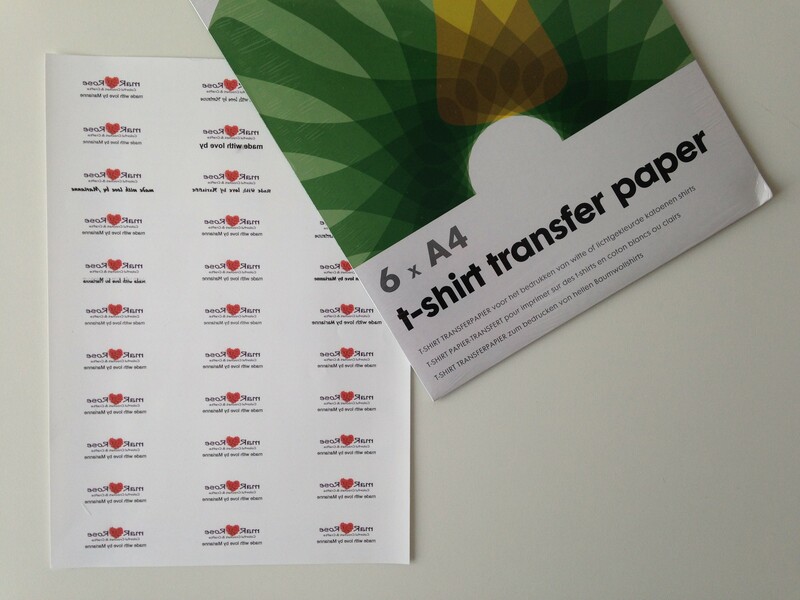 After printing your transfer paper should look like this (see above). 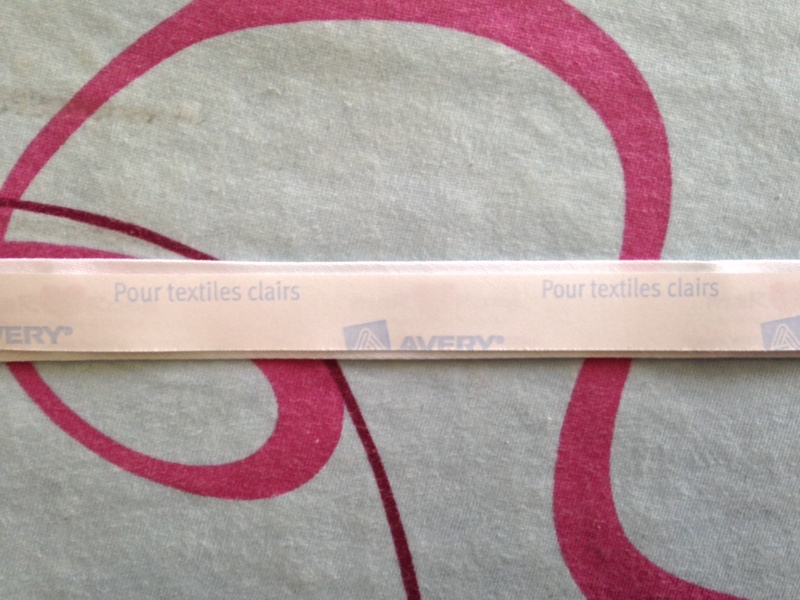 Cut your labels horizontally – just like this (see below). Now get the ironing board out and set your iron to the heat as per the instructions of the transfer paper package (cotton/cotton+, no steam). 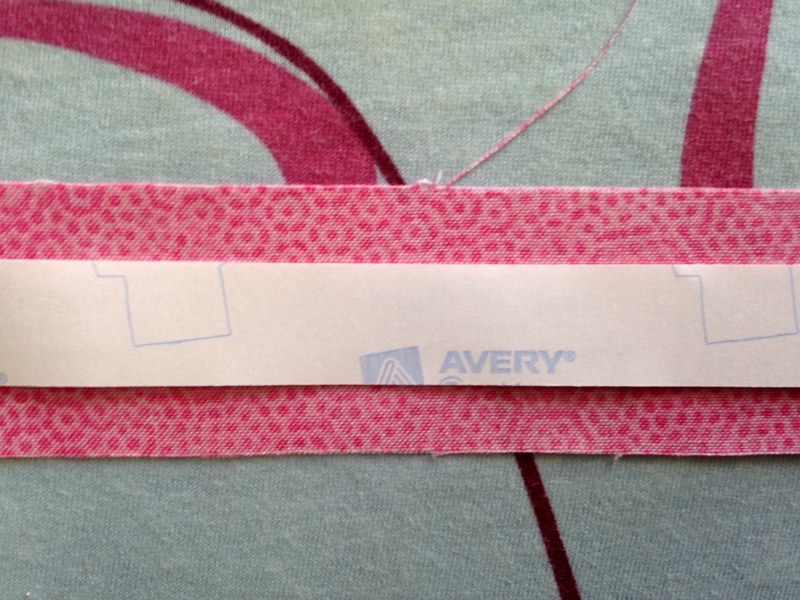 Then layer: ribbon, your strip of cut out labels of 3 (paper side up) and a doubled folded piece of baking paper on top. Start ironing, carefully pressing not “swiping”. 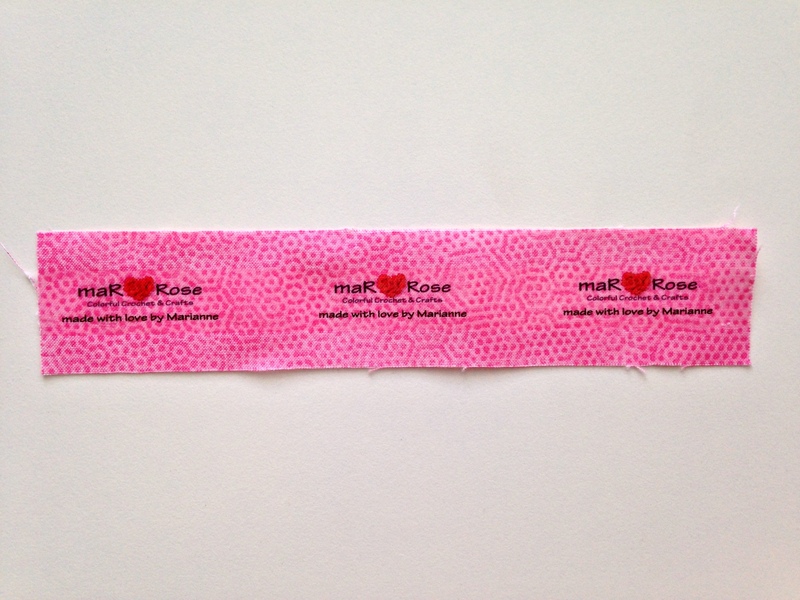 Let the ribbon cool and then carefully, very carefully peel off the paper backing and ta-dah, time to admire your very own fabric labels! 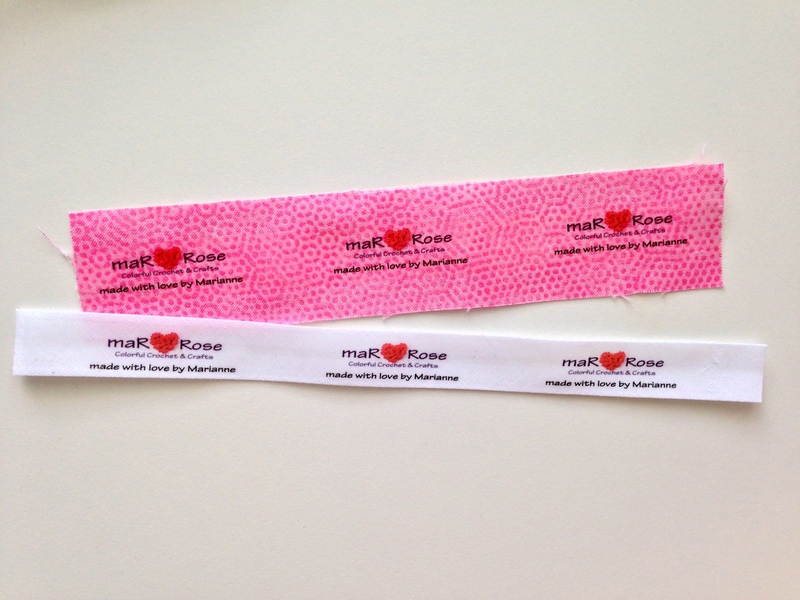 Cut them to the size you want, fold in sides and start putting this fun touch onto your made-with-love-projects. Just a note: I wash my labels first (in a small laundry bag, gentle cycle) before sewing them in or onto my projects and am pleased they wash really well.